Leave a Comment on this Entry! I do not put walks on this website that are covered by existing guide books and do not intend to… however last week l walked on a section of Wainwright’s Pennine Journey from Blanchland to Hexham which was a distance of 12 miles from Blanchland to the banks of the Tyne, finishing next to the beautiful bridge reminiscent of the French bridges on the Loire, Dronne and Dordogne that l am well acquainted with. The whole route was a joy to walk! 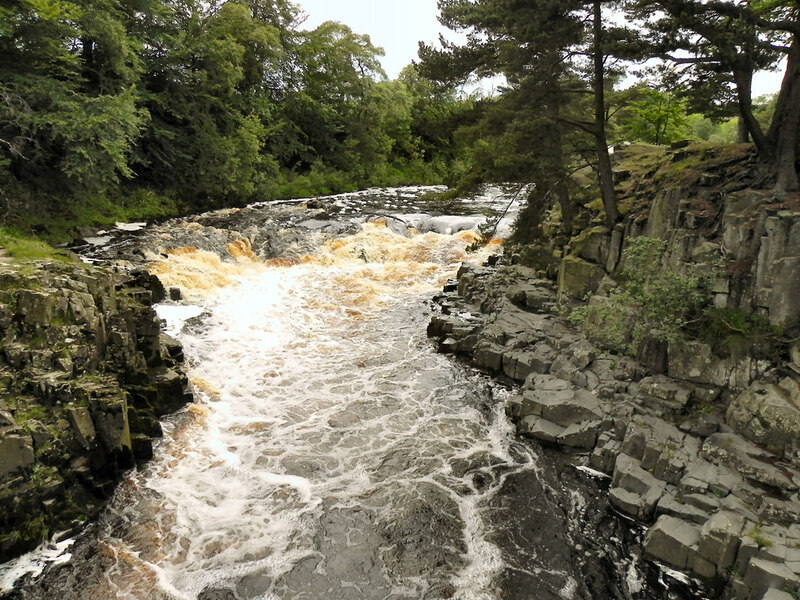 A Pennine Journey is a 247 mile walk which is a circular starting at Settle which then goes to north to Hadrian’s Wall via the eastern side of the Pennines, then along the best parts of Hadrian’s Wall returning to Settle on the western side of the Pennines. The walk was established by David Pitt, a member of the Wainwright Society and published in 2010. 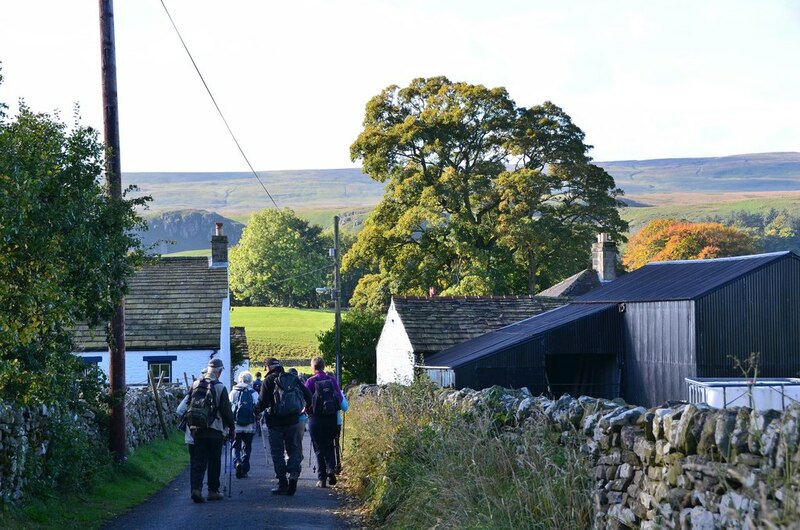 However the genesis of this walk goes back more than seventy years to 1938 when Alfred Wainwright walked a route to Hadrian’s Wall and wrote a book on his walk a year later. Wainwright stated “l wrote a book of my travels, not for others to see but to transport my thoughts to that blissful interlude of freedom”. It must be remembered that these were exceptional historic times with Europe on the brink of war and great uncertainty. The book was kept at home in a drawer and in 1954 Alfred Wainwright came to the public eye when the first of his Pictorial Guide to the Lakeland Fells was published. This was seized on by walkers as a superb unique book and over the years the series was completed with the publication of another six books. Many others followed. Go forward to the 1980s and the Pennine Journey book was seen by his editor Jenny Dereham at his publishers (Michael Joseph) who persuaded him to get the book published and indeed, having had the book for nearly thirty years like many others, it is an absolute treasure. In 1998 David Pitt and his wife who were members of the Wainwright Society and who, by then had spent several years devising a route which covered all of the places mentioned in the book, were successful in getting their book published. In his book he acknowledges the help he got from others. Their route follows footpaths, much of which are on National Trails, and the production is “a la Wainwright” with good hand drawn maps, some good illustrations and excellent route descriptions. Since then those of who have recent maps will see that the whole walk is now highlighted on the OS Explorer Maps and the route is waymarked throughout. Our group recently walked a section from Sandford to Kirkby Stephen on lesser known paths and on a very hot day this was perfect to walk with some tree cover from the sun. David Pitt and the Wainwright Society have done a great job in creating and developing this walk and l cannot recommend it too highly. To me it comes in my top five long distance walks closely behind Offa’s Dyke as a favourite walk. The guide is published by Frances Lincoln and even if you do not walk the complete route it will still give you many days of pleasure! 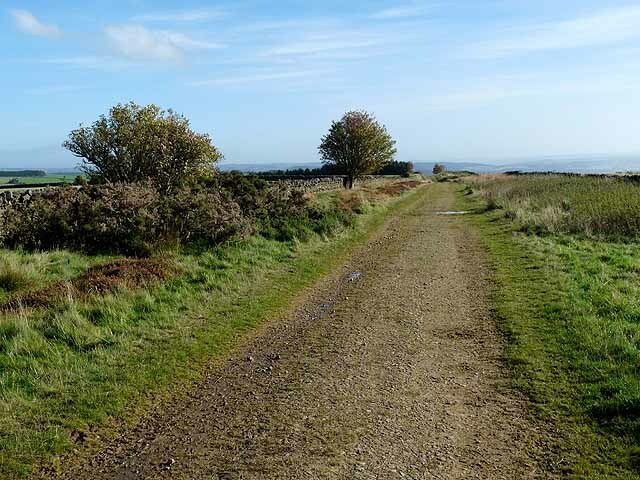 Try and pick a good clear day for this walk as the views are extensive and this is a great walk to stride out on surrounded by space and big skies. There is only one stile on this walk and it is one of these walks when you can stride out in lonely country and feel, in parts, to be away from it all but at the same time expend a limited amount of energy. The start is the same as the Allendale to Hexham walk climbing up Leadside Bank and onto Spitalshields Moor to reach the junction of the walls at GR880597. Here we leave the Hexham route and head east with the wall on your left and after a few hundred yards you reach a gate and tarmac at GR 885598. Continue east along the road for half a mile to Jingling Gate where the road turns right and follow this road downhill for just over a mile to Ham Burn. Ignore the roads off to the left and the right and cross the ford (or if there has been wet weather by the footbridge) and climb quite steeply uphill to a junction where there is a seat. This area is old England and the scene will have changed little over the years. It is an evens bet that over this road walking you will see no more than one vehicle as they only serve the few local farms. Turn right at the junction after having a rest on the seat and head south. There are fine views across to Devils Water and Slaley Forest and indeed several routes can be taken here to cover the ten miles to Blanchland which is a fine linear walk. However for our walk, turn right (west) at the t-junction to pass Low Eshells and reach High Eshells farm. The road, which changes to a byway here, turns left uphill for a short distane before heading west-south-west onto the moors. After about one mile from High Eshells the byway ends and there is a locked gate to prevent illicit vehicles continuing and wrecking the bridleway. Here is the only stile on the whole walk. The track over the moor is quite clear and is basically level. After about one mile there is a deep valley on your left and a clear shooters vehicle track can be seen crossing Lawsley Sike and heading to the Foumart Hills. This is not our route today although it can be taken to reach Allendale by another route. Continue heading west passing to the south of Great Lawsley. It is easy to go wrong here as there is a shooters track which looks the main route. 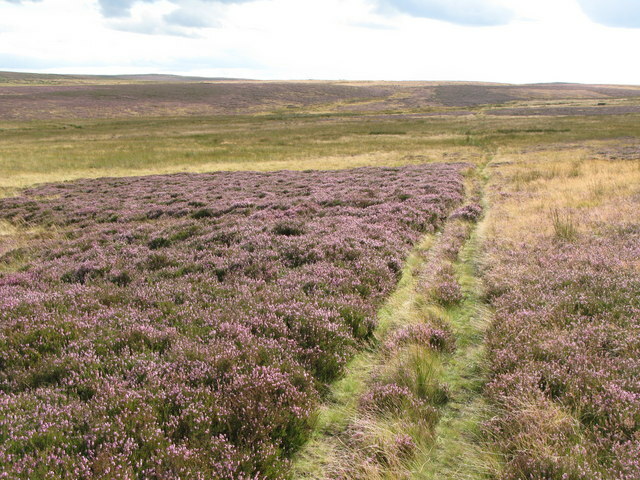 The bridleway is marked by a waymark which keeps to the west and is more like a path winding its way up through the heather. Continue west to Chat Fell Gate which exits on to a moorland road called Chats Lane. This brings you down to Moorhouse Gate where you then pick up Leadside Bank and it is now an easy mile back to the centre of Allendale. I first did the Eshells Moor route as a very young lad back in the early 1950s as a cyclist where we carried the bikes over the wet areas. This was well before the era of mountain bikes but there was an organisation of cyclists called the Rough Stuff Fellowship who sought out difficult routes. We tried several in Scotland (many of which are still there today) and the only real change has been the bikes which are now better suited to the terrain. One of my friends Brian Harvey was on these early bike routes and is now like me primarily a walker and it is good to still be doing these old routes together over fifty years later. Such is friendship. As stated at the start of this walk this is best kept for a clear day in winter. Much of it is over grouse moors and is best avoided in spring when not only the grouse, but all the curlew, lapwing and golden plover are breeding and there is also the period of the grouse season after the Glorious 12th in August when the shooting season starts as you will not have the solitude that makes this walk special. There are a wealth of pubs for those seeking liquid refeshment at the end. The Allendale pubs are all good, whatever the season, as is The Crown at Catton but on our last walk over here we called in at the Carts Bog Inn which was the scene of many visits in previous years. This has recently changed ownership and is much improved. Whilst it is now a gastro pub it also serves good quality ales and has a nice fire in the winter which is a nice way to finish an enjoyable day! The village of Beamish is a relatively new creation, like many of the villages near here, being established as late as 1873. Formerly Beamish referred to the lands surrounding Beamish Hall and was a parish of Tanfield. The new Beamish parish consisted of Stanley, Shield Row, Ox Hill, East Kyo, East Stanley and Beamish Stables. At this time the population was expanding rapidly due to the opening of three coal mines where the coal seams could be up to 40 feet thick. Mines were opened at West Stanley in 1833, Air Pit in 1849 and the Beamish Mary opened in 1883, the latter lasting until 1960. There was a fourth pit known as Chophill or Beamish Number 2 and a row of houses were built to house some of the miners. 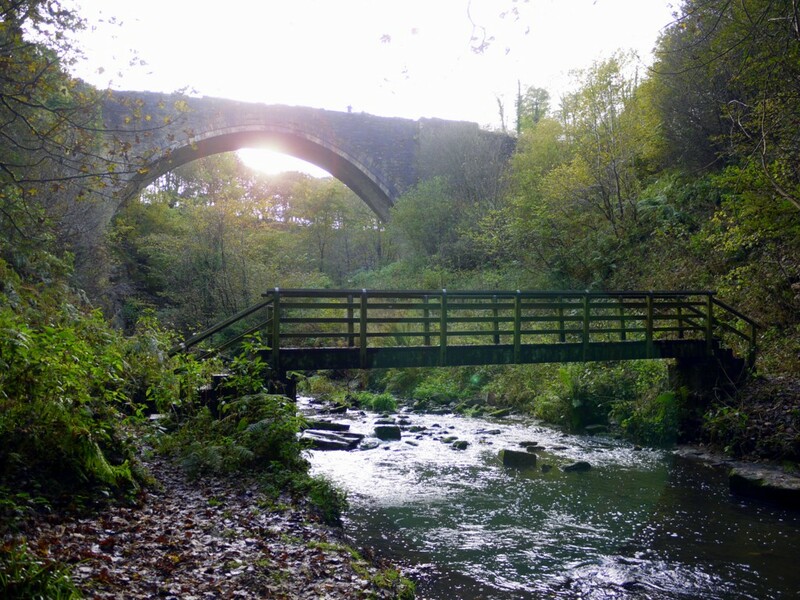 This was known as Eden Row and was situated close to the Stanhope and Tyne railway. Eden Place where the Durham County Council Picnic Park is and Eden Square were then built a little further to the north and the village then consisted of 70 houses, a school and a chapel. The winding house of this colliery still exists as it is the one rebuilt at Beamish Museum. The school had a capacity of 400 with an average attendance of 274 and the village lasted until recent times when it was demolished to make way for the new road following the closure of Consett Iron Works. 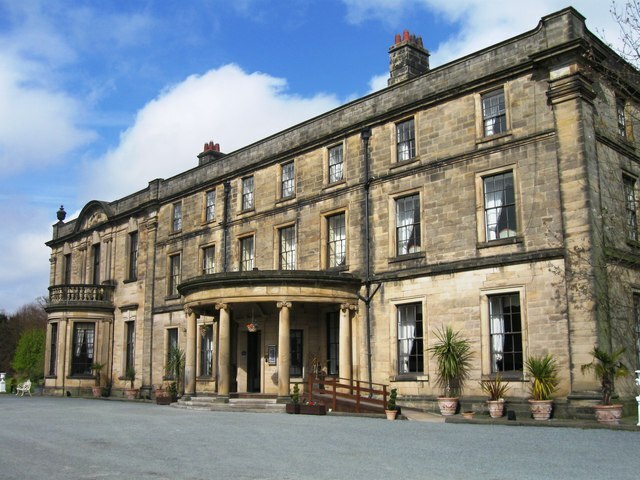 Beamish Hall was the home of two prominent Durham families which were the Shafto family (Bobby Shaftoe had a song written about him) and the Eden family from which Sir Anthony Eden the former PM was descended. The name Beamish is derived from Old English Bew Mys which means beautiful mansions. The walk starts from the South Causey Hotel and passes round the beer garden and the animal park to reach the old road from Sunniside to Stanley. Here you proceed right up the hill and on reaching the Blue Bell pub take the path to the left to reach the old British Rail line to Consett. 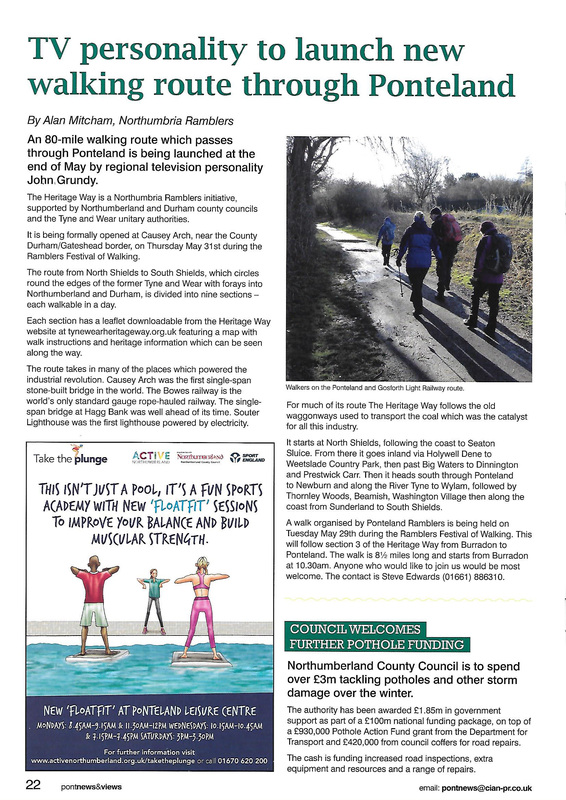 This line is now known nationally as it is part of the Coast to Coast Cycle route (C2C) developed by Sustrans which is cycled by thousands of people every year. It was famous in earlier days when in use by railway enthusiasts who visited to watch the huge 2-10-0 locomotives hammering up the hill to Consett carrying iron ore from Tyne Dock. Here turn right, soon crossing the new bridge over the main road and continue westwards slowly gaining height. On your left you pass several ponds which were built with the help of volunteers of the Durham Countryside Ranger Service in its early days. On your right are the factories of Tanfield Lea with fine views behind to the north. At the end of the factories (at GR 195535) there is a track on your right descending to the west of the factories and on passing the last buildings take the track on your right. This leads through the Tanfield Lea Local Nature Reserve (LNR) which has some interesting plant life. 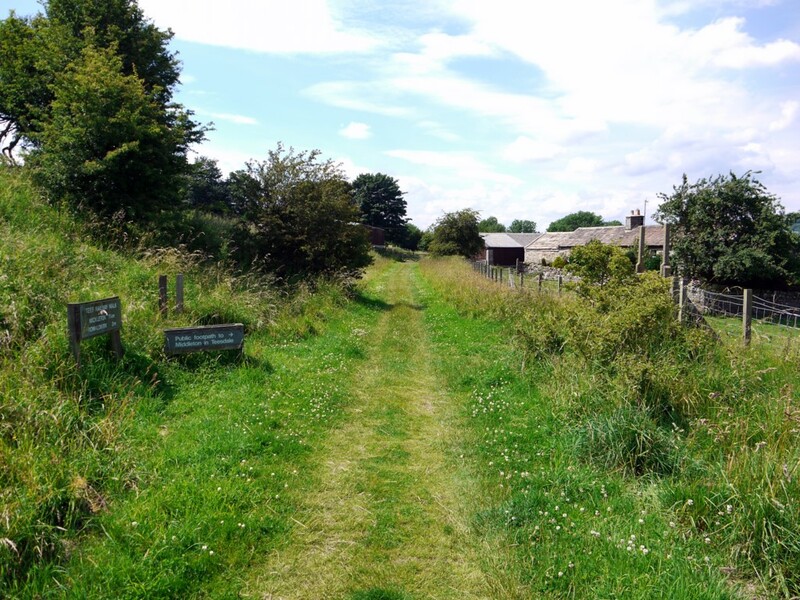 This path reaches the Tanfield road and a short distance to your left is East Tanfield Railway station on the Tanfield Railway. Enter here and follow the clear path north. This path is part of the Great North Forest Trail much of which can be followed on OS Pathfinders 308 and 316. The stream here on your right is the infant River Team which takes its name from its source near Tanfield (originally Teamfield) and is here known as Causey Gill. There are two paths down Causey Gill, one to each side, and we take the left one. This brings us to the world famous Causey Arch, which is the oldest railway bridge in the world, built well before the days of steam. After crossing we proceed left alongside the track of the Tanfield Railway to the car park. There is much information on this railway on my other walks notably Sanctuary Way Stage 1. The gorge of Causey Gill is very deep and is thought to have been created as an overflow during the Ice Age although more recent thought suggests it was created by a river within a glacier. We cross the A693, here shown on the map as Causey Road (but called the Stanley New Road in my youth) to the Causey Arch Inn and follow the bridleway called Coppy Lane in a southerly direction. Coppy is a corruption of Coppice and indeed much coppicing was carried out in the woodlands near here in the past. At the bottom cross the minor road and enter the grounds of Beamish Hall which is now a fine hotel with excellent all round facilities including a brewery in the old stables. 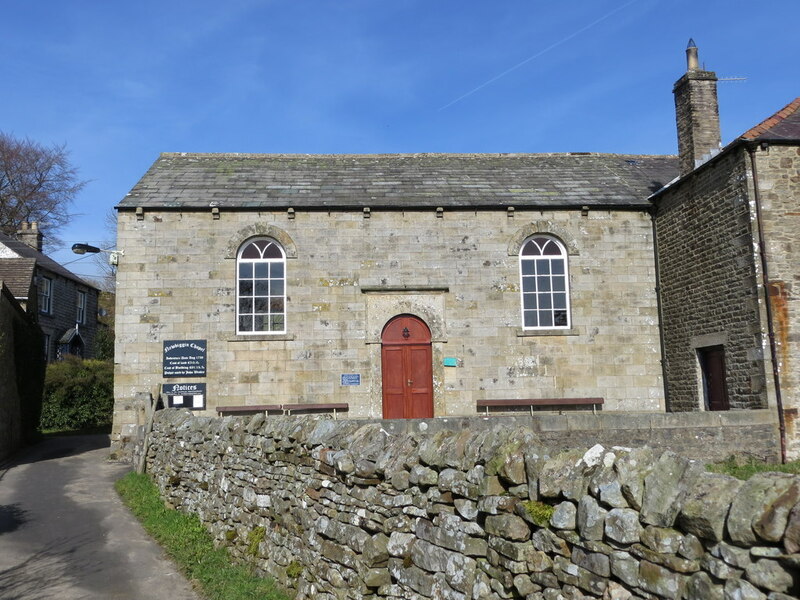 Further details of this building can be found in Nikolaus Pevsner’s book on Durham which was part of his major project covering all the interesting buildings of England county by county in a series called “The Buildings of England”. Don’t be surprised to see many birds of prey here as there is a Bird of Prey Centre here but any red kites seen are wild with several pairs nesting nearby. 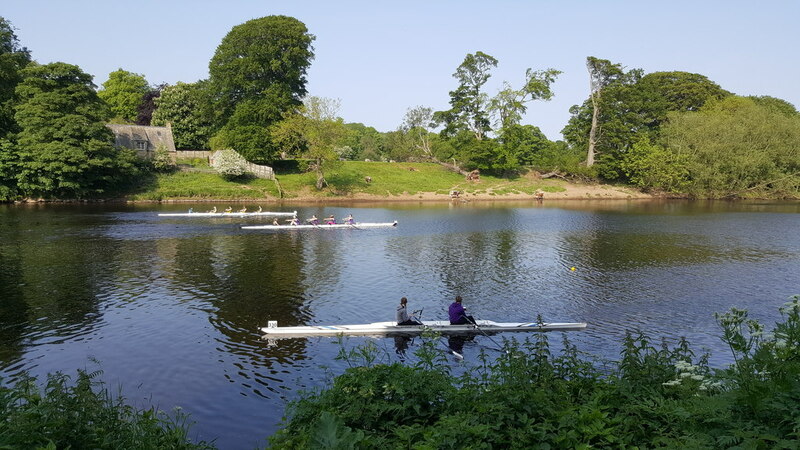 Turn down to and then along the main entrance to the hotel and at the entrance continue straight ahead following the River Team down a former entrance to the hall. You are now passing to the north of Beamish Museum, winner of European Museum of the Year in the past and some of the buildings can be seen on your right. Shortly after passing the site of Beamish Mill at Mill Wood there is a fine line of very old yews alongside a wall on your left. All of the land on your left belongs to the Woodland Trust and is part of Hedley Woods much of which are new creations and are well worth a visit. On Sanctuary Way Stage 1 the route goes through the whole site. After passing a lake on your left, often holding interesting birds, the track climbs. Here look out for a path on your right (GR225554) which enters a wood and climbs up to the eastern edge of the wood. This is part of the Tyne Wear Trail which passes through Hedley Hall wood. It is recommended to take this route along the edge rather than the track ahead which can be very wet. After about half a mile the path (which is part of the Tyne Wear Trail) eventually descends to join a footpath coming in on your left from Pockerley Buildings. Continue south to the road near to High Forge where armaments were made for the Napoleonic wars and in the late 1800s this forge was reputed to manufacture the finest muzzle loading cannons in England. There are two routes which can be taken here. The one keeping off the road goes through Ousbrough Wood (a LNR of Gateshead as the River Team is the border hereabouts between Gateshead and Co. Durham) which is followed to GR 232539 which is the third footbridge. Crossing the footbridge ascend the stairs to the top where you turn right and follow the footpath to the right to reach the metal bridge over the C2C on the Tyne Wear Trail. The actual route of this trail can be followed from High Forge but the climb up is very slippy after wet weather. Be warned! The alternative way from High Forge is to stick to the road going steeply uphill passing by Hammer Square to reach the Shepherd and Shepherdess pub where there is an interesting story. 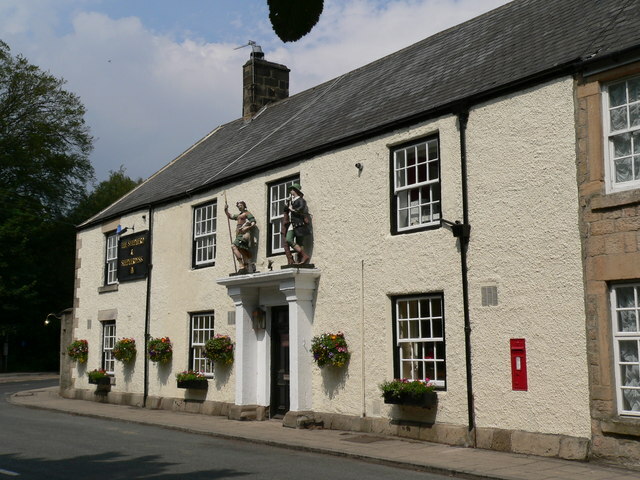 The pub takes its name from the statues of a shepherd and shepherdess above the entrance. During the Napoleonic Wars there was a blockade on Britain and lead for arms was scarce. Lead was smuggled into the country in disguise and these statues arrived as lead for the war effort. They came under the ownership of the local squire and were not melted down but on a stormy night, after one of the statues of an accompanying dog was destroyed, he gave them to the pub which then changed its name. 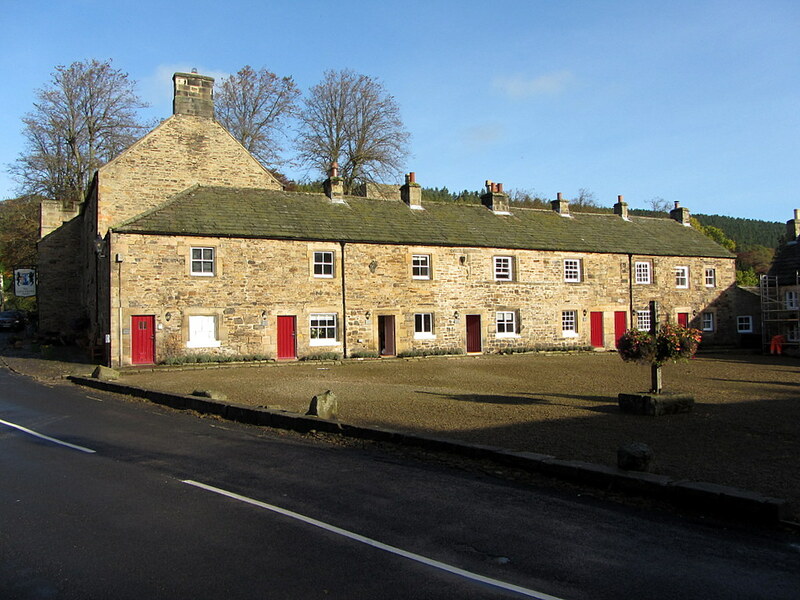 At the pub take the road past the alms houses to the site of Beamish Station and turn down to the bridge over the C2C. Better still from the pub take the path behind the houses through the wood to arrive at the same spot. Cross the bridge and continue ahead to arrive at two restaurants. This building was originally Beamish Working Mens Club (CIU and affiliated of course) which is situated on what was originally the main road and head west along this towards Beamish on your right. After a very short distance you reach the memorial to the victims of the Beamish bombing killed in the bombing of May 1st 1942 on the other side of the road. This raid has attracted a lot more interest recently as it was part of one of the biggest in the NE killing 36 people (11 at Wallsend, 6 at Longbenton and 8 in Beamish) including at Beamish the son of the Deputy Regional Commissioner Jack (later Lord ) Lawson. The heaviest bombed area was the Derwent Valley near Rowlands Gill where over 60 large bombs were dropped. Full details of these raids can be found by googling “When the bombs fell on Rowlands Gill” by Brian Pears. This is a lengthy and touching account of the raids and includes details of the Beamish incident. The question was asked, why there? Indeed there were decoy sites at Gibside and Beamish but witnesses testify that no fires had been lit at the time of the raid. It is widely thought that the target was Durham and the raid was a Baedeker Raid. These were retaliatory raids by the Germans after the destruction of some of their cathedrals and in the previous week Exeter, Bath and York had been attacked followed by Canterbury and Norwich the next week. On the night of the attack Durham city had been covered by a layer of white mist and it is thought that in the dark the Germans mistook the bend in the Derwent and the nearby viaduct for Durham City and bombed it. The Beamish bombs were probably aimed at the railway line to Consett or with railway lines on both sides it made Beamish look like a factory. The deaths here were particularly poignant as they were about 18 hours after the raid. This was because no one knew of the fact that a bomb had gone through the roof of a building and was in a basement. It was fitted with a timer delay and regrettably exploded at 9.00pm at night when some of the residents had been clearing up some of the damage. On the 28th of April 2012 a memorial service was held on the site next to the monument and this can be watched here on YouTube. It shows the service with contributions from Kevan Jones the local MP who is coincidentally a War Grave Commissioner, Jack Hair a local historian who was instrumental in getting the story recorded, Ruth Ross a granddaughter of Jack Lawson, Michelle Robson of the Special Constabulary representing the two Specials who were killed and staff from Beamish Museum who work closely with the local community and had an exhibition at the museum. Worth a watch. It is now a short walk up the old road to the site of the railway station where the C2C is picked up. Head back up the C2C towards Stanley up to where you joined it at Kip Hill (noting the fine cattle artwork at Beamish just after the station) and then back to the start which is about one and a half miles. Better still is another route back from Eden Place picnic site near to the station where the Great North Forest Trail is followed through Hellhole Wood (owned by the Woodland Trust) and then enter Carrickshill Wood which adjoins it. Do not descend to the picnic site at Beamish Park (GR208547) but maintain your height passing by several superb old beech trees to exit on to the old Stanley road via a hole in the wall which surrounds the Beamish Hall Estate. Here you can either walk back up the road to the hotel of continue on the Great North Forest Trail straight ahead up a very old lane which was sadly damaged recently by development. The hedgerows here had a diverse plant life. 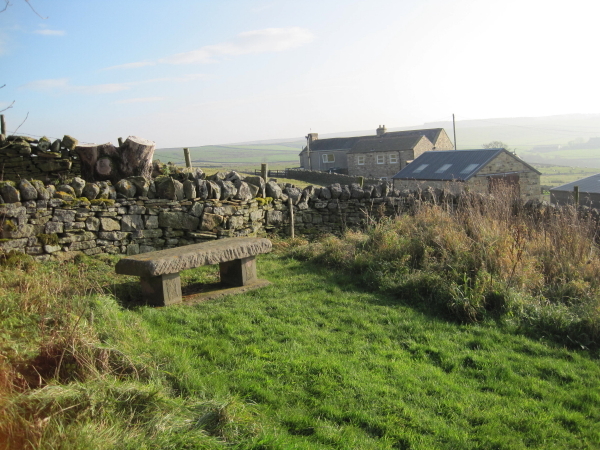 Cross the stile and over a field to the A693 where it is a short distance back on the left to the start.